Unique and cool My Heart Belongs to a Baseball Player Shirt with HIS Jersey NUMBER or YOUR MONOGRAM typed into the Text Boxes below “Personalize it” section on the Baseball Shirts product page. Change the “My Heart Belongs to a Baseball Player” Message too. Heart Shaped Baseball with a cool player batting and then the phrase, “My Heart Belongs to a Baseball Player” is customizable. Change the phrase of leave it as you see it. You will get noticed with these cute Baseball Shirts with Sayings. Little Linda Pinda Designs Customizable Gifts Lots of Personalized Baseball Gifts. Call Linda at 239-949-9090 for HELP or ANY Changes to ANY Design. I will also put my designs on ANY Zazzle product for you. You will see the gift before you decide to purchase it or not. Choose from 126 different Shirt Styles, Lots of Colors (Dark Colors ONLY for this Design, Hot Pink, Black, Dark Blues etc). 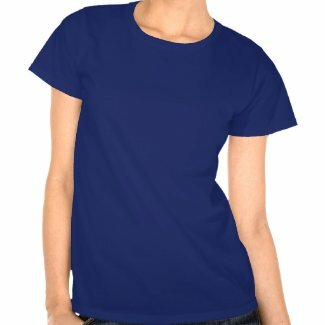 You can choose Baseball Shirts for Girls and Women or select a Jacket Style, Tank Top, Hoodies, Workout clothes and more. With or without his Jersey Number typed into the Text Box Template below “Personalize it” section to the right of the Baseball Shirts for women. You can type YOUR MONOGRAM into the text box too or just DELETE any unwanted text. Really Cool Heart Shaped Baseball with a Baseball Player Silhouette Batting and the Baseball Shirts with Sayings “Baseball Shirts with Sayings”. You can CHANGE the TEXT in the TWO TEXT BOXES which are found below “Personalize it” which is to your right of the Baseball Shirts for Girls and Women on the product’s page. 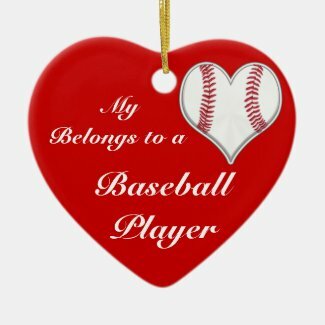 This Baseball Ornament is also customizable with YOUR MESSAGE or Keep “My Heart Belongs to a Baseball Player” sayings. The Back of the Christmas Baseball Ornament is totally covered by a Baseball. Teenagers will love this for not only Christmas but any time. If you are looking for Baseball Gift for Girls, and she is dating a baseball player, she will absolutely love this cute baseball t shirt available in sooo many different styles. I can place this design on any Zazzle product and I will make changes for you too. Please don’t hesitate to call. Calling is BEST buy you can try emailing me too. 239-949-9090 BEST way to contact me.